The Visual Throw is a stunning and classic herringbone weave with a versatile double side look. 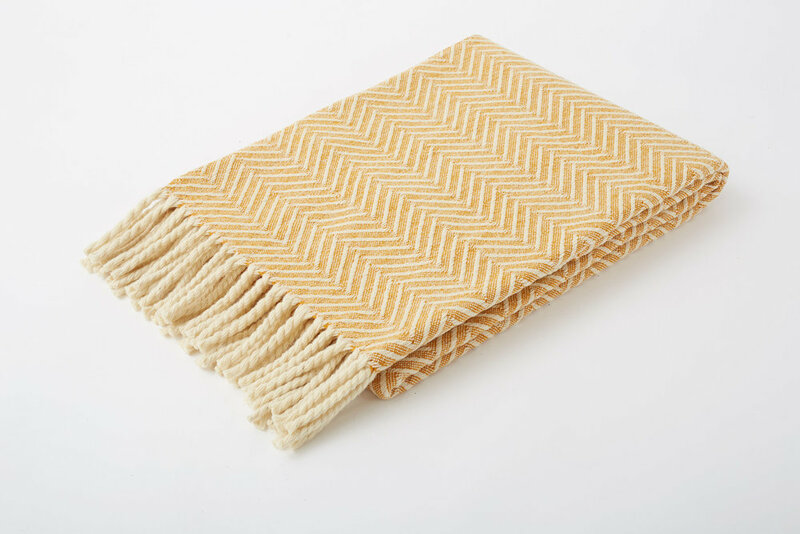 This throw by Burel Factory exudes a spirit of natural authenticity, related to its origins in the mountains of the Serra da Estrela in Portugal. Made from traditional Portuguese wool, "Visual" is a beautiful addition for everyday use on a sofa or a armchair. It's thick and dense, yet very soft to the touch and multi-climate. 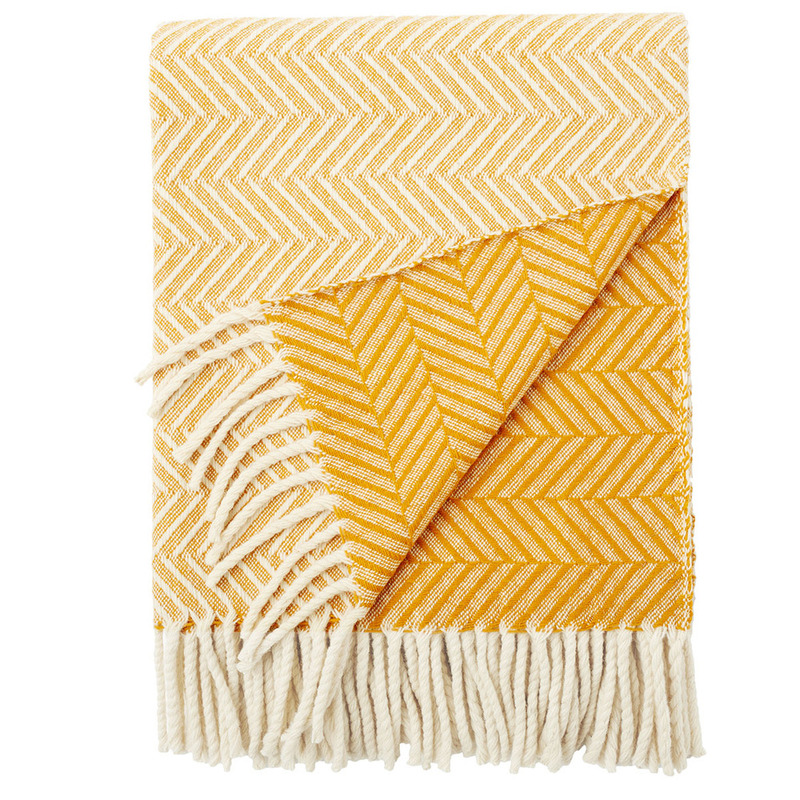 The warm yellow of the Visual throw will certainly brighten up your home! Care instruction: Dry clean or cold machine wash in delicate wool program at low spin. Do not bleach. Do not tumble dry. For ironing, steam ironing is recommended using the wool setting.